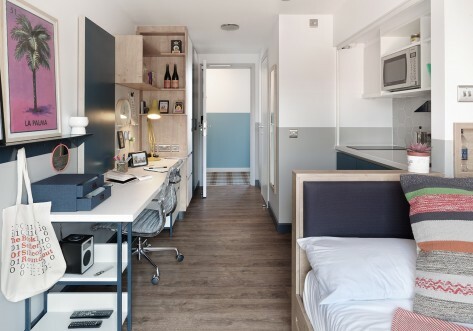 Situated in Zone 1 of East London, urbanest Hoxton offers an exclusive choice of 220 beds arranged into self-contained studios, two bedroom apartments and flat shares of 6 en-suite rooms. 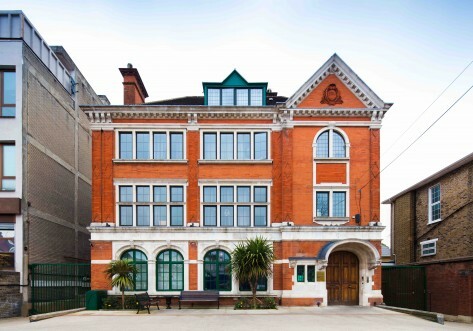 It is arguably east London's coolest area, with a thriving network of galleries, venues, and nightlife near by. Old Street Tube station is situated 3 minutes away from urbanest Hoxton, and there are plenty of buses running to get you from A to B with ease. The highly sought-after Bohemian neighbourhood of Hoxton is home to the vanguard of the new British art movement and a thriving network of galleries, café bars and nightlife venues continue to bring a distinctively creative feel to the community. So it’s only natural for urbanest to be right here at the heart of the action. East Road is a couple of minutes walk to Old Street underground station (Northern Line). 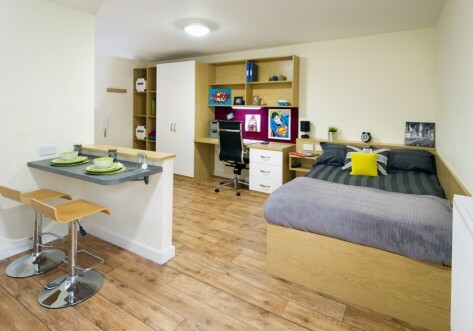 A beautiful bedroom in a 2-bedroom apartment, sharing a galley kitchen, luxury shower room and modern appliances. A beautiful bedroom with individual en-suite shower room in a 6-bedroom apartment, sharing a spacious kitchen and modern appliances. 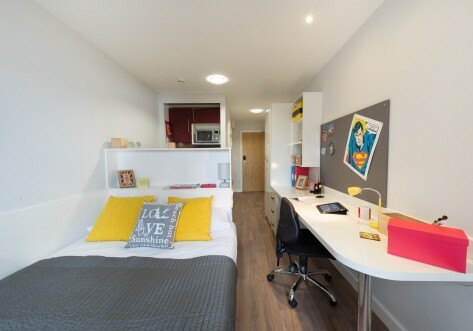 Entirely self-contained studio containing a modern kitchen with stainless steel appliances including dishwasher and smart tiled en-suite shower room. Suitable for single occupancy or a couple.